If you are an SQL user, you must back up your SQL database to save your business-critical data from getting lost/ deleted permanently. Only regular data backup can safeguard your data from various mishaps like end-user error, hardware issues, etc. Just by knowing the importance of backup is not suffice: users need to know the procedure in detail. This post will tell you some of the trusted methods to backup and restore database in SQL Server. We will be providing you with a step-by-step guide to both the processes: SQL database backup and restore. Read the following segments to know more about it. Using this method of SQL Server Management Studio (SSMS), users can back up the database that can be used at any crucial moment. a. Open SSMS and go to Object Explorer. Select the Servername and expand it. b. Expand Databases to choose a user database. Or you can expand System Databases to choose any system database. c. Right-click and hover your cursor on Tasks>> click Back up to get the Back Up Database dialog box. d. Confirm the name of the database from the drop-down list of Database. If you want, choose another database from the list. f. To create the copy-only backup, select the checkbox beside the same option. g. Select the radio button beside Database under Backup component. h. Under Destination section, choose your destination for backup from the Back up to drop-down list. Click Add to include extra backup objects and/or their destinations. You can also remove a mistakenly added backup destination by selecting it and clicking on Remove. Note: To back up a transaction log, run this script. In this example,l get created in AllSalesWorks_FullRM_log1. If the SQL database encounters some issues that cannot be resolved, the last good backup of the database can be restored to fix the problem. In this section, we will describe the process to restore SQL database from the backup file. a. To execute this process, start SQL Server Management Studio (SSMS), select the option Databases. b. Right-click on it and choose Restore Database to open a window. c. Click on the radio button select From Device under Source for restore section and then click on the Browse icon. d. Specify Backup window will open. Click on Add and go to the location where the flat files are stored. Select the first backup file from the list as it is the Full backup file. e. Click on OK. The file will get added to the Specify Backup window. Click on OK again. f. Choose the target database where you want to restore the backup file by going to the section “Destination for restore.” Under “Select the backup sets to restore” section, check mark the database file chosen earlier. Check the box beside Overwrite the existing database (WITH REPLACE) under ‘Restore potions’ section. Under ‘Recovery state’ section, choose Leave the database non-operational, and do not roll back uncommited transactions. Additional transaction logs can be restored. (RESTORE WITH NORECOVERY)” radio button. h. Click OK and the restoration will be done. I. Perform these steps for every incremental backup file, which includes the .tm file. When you reach a point when you have to restore the point-in-time file, follow this second method after “Restoring” message appears. a. Start SQL Server Management Studio to right-click on Databases>> click Restore Database. b. Choose From Device option under Source for restore section and click Browse. c. On the next window, click on Add to go to the location of the incremental backup file with the point-in-time that you want to restore. Select that file and click OK.
d. Click on OK again. Select the added backup file in Select the backup sets to restore segment. e. Choose the destination database in Destination for restore section. Click on Browse button next to “To a point in time” to make ‘Point in time restore’ window appear. f. Enable ‘a specific date and time’ option and select the date and time. h. Click OK to perform the process. In the restored database, you will only view the changes done to a particular point-in-time. As we can see, the manual restoration process is a long one. Moreover, this process does not support restoring data from corrupt BAK file. To avoid these problems, SQL bak File Repair is a reliable solution. In some easy steps, users can restore their corrupt or healthy .bak file to SQL database. a. Launch the tool and Add BAK file. b. The software will resolve all the issues and offer full Preview. Click on Export. c. You can export as SQL Server Database or as .csv script. In case you are wondering about the process to backup and restore SQL database, here are some of the approaches you can follow. All the methods mentioned here have been tested and users can execute them without any worry. If your backup file is damaged or you prefer an easy way of restoration, you must go for SQL Backup Recovery Tool. I am writing this blog and explaining how to create a database in Azure. As we know that Azure is a cloud computing service provided by Microsoft and is becoming popular in the world. As a DBA we need to know how to work in a cloud computing environment and therefore for the ease I providing a step by step solution for creating a database in Azure. First of all we need to login to Azure portal and need to check for SQL Database options as it will be on the left hand side as given in picture below. Here we can see in this picture that there is no database available. Now we have to create a new database and for that we need to click on Add button on the top as shown in picture. As we click on add button so it will display a new windows which requires the information to fill in to create a database. As this is a test database which I have created so not using elastic pool and simple creating a standalone single database in Azure. Rest settings pricing and collation we need to set here as per our requirements or choose default. One more thing which is important that is location we need to choose as I have chosen East US , you may choose as per your company requirement and policies, for the test purpose you may choose any location and just try and hit. Check and fill all the option carefully as shown in the above picture and then hit the create button. The deployment will start to create the database. I have created here the database named as “MirzaDB”. You would be getting the alert in the alert section as soon as deployment succeeded. Now database has been created and we can explore it by checking its size and other details as below in different pictures. Looking forward your likes & comments! Query performance is a very important area of SQL server. We always have badly performance queries around. Query store is the newest tool for tracking and resolving performance problems in SQL server. In this article, we are going to have a look at some practical uses of SQL server Query store. 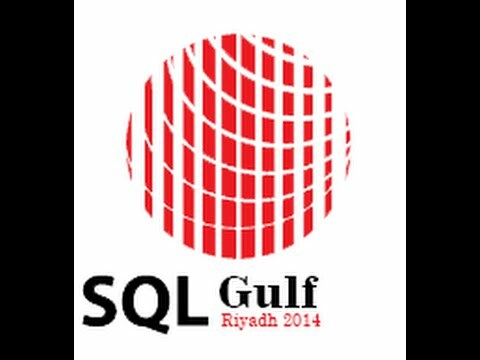 The query store has been described by Microsoft as a ‘flight data recorder’ for SQL server queries. It tracks the queries run against the database, recording the details of the queries and their plans and their runtime characteristics. Query store is per database feature and runs automatically. Once turned on, nothing further needs to be done to get it to track data. It runs in the background collecting data and storing it for later analysis. Query store is available in SQL Server 2016 and later, and Azure SQLDB v12 and later. It is available in all editions of SQL server, even in Express edition. How is Query store different from other tracking options? We have had query performance tracking for some time though in the form of dynamic management views. Mostly, sys.dm_exec_query_stats and sys.dm_exec_query_plan and tracing tools like SQL server profiler and extended events. So, what makes Query Store different? Let me start answering that by describing a scenario that I encountered a couple of years ago. A particular critical system was suddenly performing badly. It had been fine the previous week and there have been no extended events sessions or profiler traces running historically. The admin had restarted the server when the performance problem started, just to make sure it was not something related to a pending reboot. As such, there was no historical performance data at all and solving the problem of what happened, why the query performance is different this week was extremely difficult. Microsoft SQL Server 2014 is considered to be the first version that supports Hybrid Cloud by adding a lot of exciting new features. Hekaton is the code name of the new feature of In-Memory OLTP. It is a new database engine, fully integrated with SQL server and designed to enhance memory resident data and OLTP workloads. In simple words, with Hekaton we can store the entire table in memory. Memory-Optimized-Tables can be accessed using T-SQL like Disk-Based-Tables. Both of Memory-Optimized-Tables and Disk-Based-Tables can reference in the same query, and also we can update both types of tables by one transaction. Stored procedures that only reference Memory-Optimized-Tables can natively compile into machine code which results in improving performance. This new engine designed for a high level of session concurrency for OLTP transactions. REPLICATION, MIRRORING, and LINKED SERVERS are incompatible with Memory-Optimized-Tables. To know more information, you can check SQL Server Support for In-Memory OLTP. To improve performance, it is common for DBAs to search in each aspect except analyzing storage subsystem performance even though in many times, issues are, in fact, caused by poor storage subsystem performance. Therefore, I want to give you some tools and recommendation that you can use it to prevent your storage subsystem from being a performance issue for you.